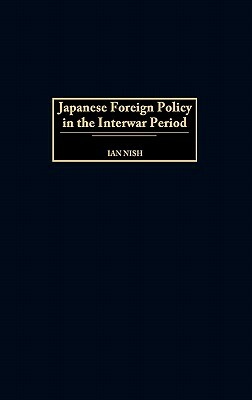 This comprehensive, up-to-date analysis of Japanese policy between the two world wars utilizes both English and Japanese sources to present Japan as an independent agent, not a state whose policy was determined by the actions of other countries. Beginning with Japan's disappointment with the Versailles Peace Treaty in 1919, Nish examines the roots of Japanese discontent and feelings that ambitions in China were being unreasonably restrained. He explains British and American policies in the region as reactive, but concludes that their responses helped to determine which factions would dominate Japan's political arena. This non-partisan account is even-handed in apportioning responsibility for the events leading to the Second World War. While some Japanese politicians in the 1920s tried to follow the international path, there were others who tended to side with the army in establishing Japan's position, first in Manchuria and later in North and Central China in the 1930s. Conscious of the nation's unpopularity in the western world, Japan allied itself with Germany and Italy in the Anti-Comintern Pact of 1936 and the Tripartite Alliance of 1940. To pursue its own national objectives, Japan joined her allies in making war on the United States and the colonial empires of Britain, France, and the Netherlands. Its forces succeeded in overrunning many colonial territories; and, with a view to easing the problems of occupying them, Japan liberalized its harsh military policies, granting independence to Burma and the Philippines and welcoming Asian leaders to Tokyo for the Greater East Asian Conference of November 1943. IAN NISH is Professor Emeritus of International History at the London School of Economics and Political Science. His most recent publications are Japan's Struggle with Internationalism, 1931-33 (1993) and The Iwakura Mission in America and Europe (1998).